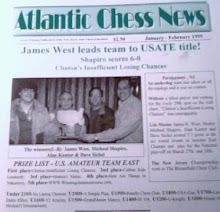 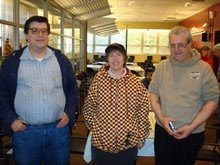 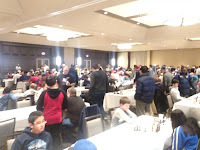 The West Orange Kings [pictured] won the top New Jersey team prize at the USATE 2019. 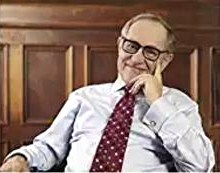 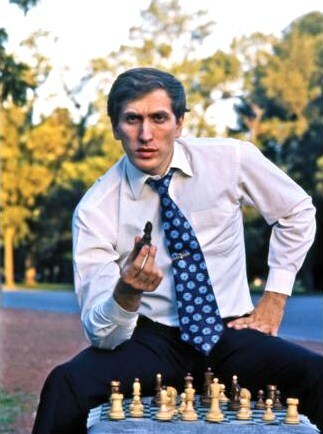 Bobby Fischer told Alan Dershowitz, "I'm not a circus performer." 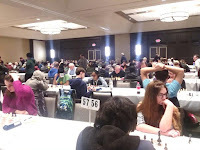 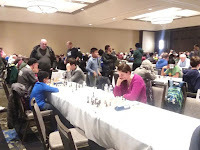 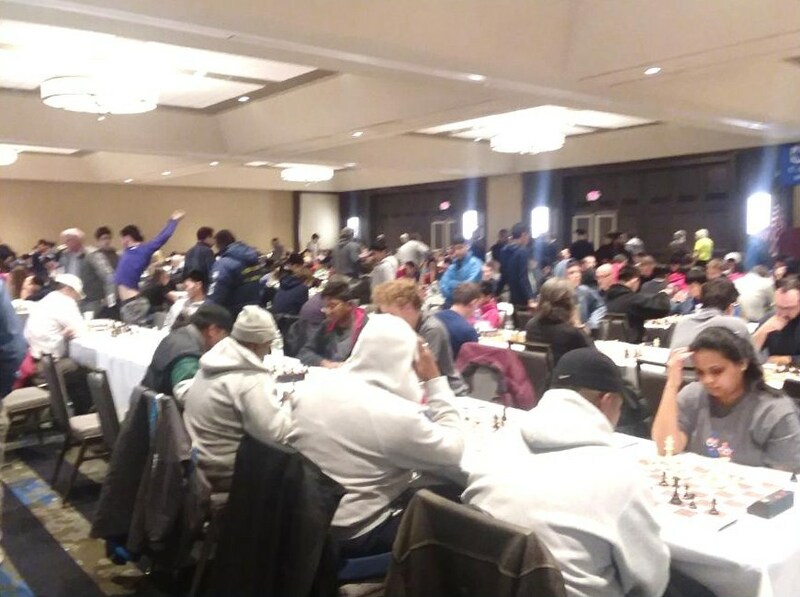 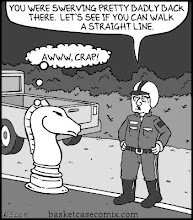 34.Qf6+ Kh7 35.Qf5+ Kh8 36.Qf6+ Kh7 37.Qg5 Qf7 38.Qh4 Rg8 39.Rc1 Rg7 40.a3 Qxd5 41.Qf6 Qf7 42.Qd8 Ne2 43.Re1 Rg1 44.Rxg1 Nxg1 45.Qb6 Nxf3 46.Qxa6 Qg6+ 47.Ka1 Nd4 48.Qxd6 Qxd6, White resigns. 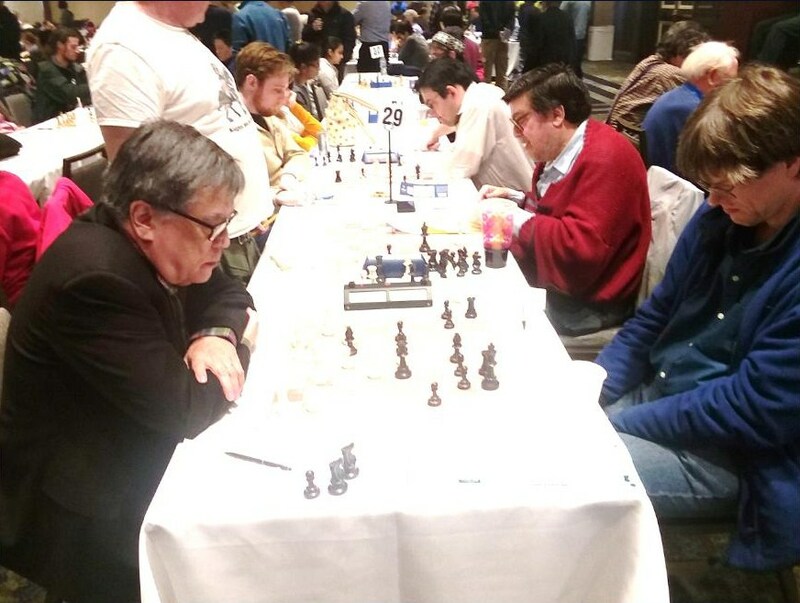 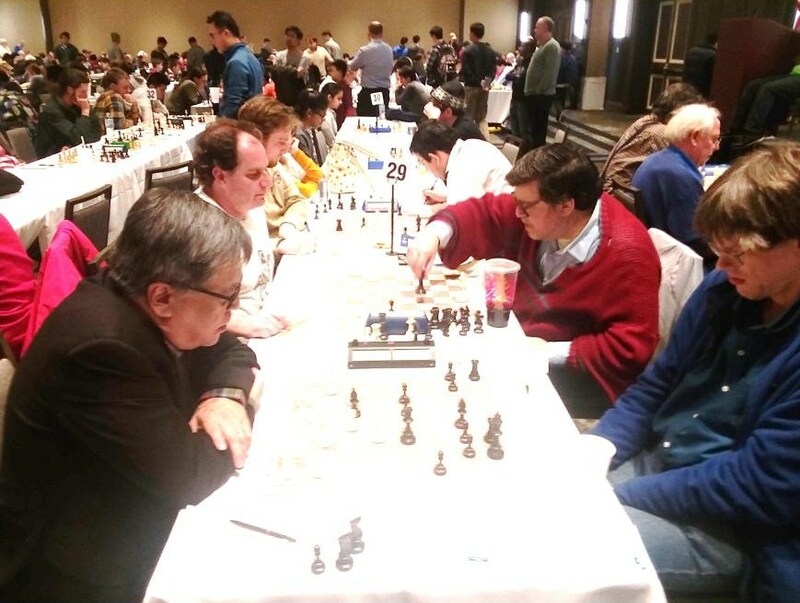 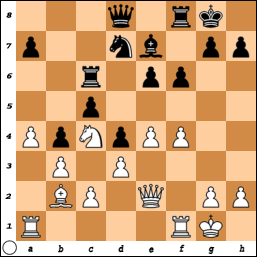 49.Qe8+ Kh7 50.Qxf7 Qg1+ 51.Kf3 Qh1+ 52.Ke2 Qxh3 53.Qf5+ Kg8 54.Qd5+ Kh7 55.Qe4+ Kh8 56.g5 Qh5+ 57.Qf3 Qg6 58.gxh6 Qc2+ 59.Kf1 Qb1+ 60.Kg2 Qg6+ 61.Qg3 Qe4+ 62.Kh2 gxh6 63.Bxh6 Qe6 64.Qg7#. 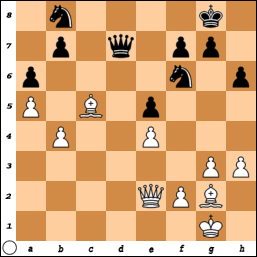 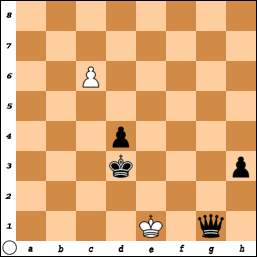 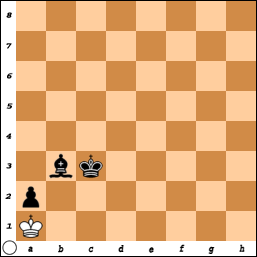 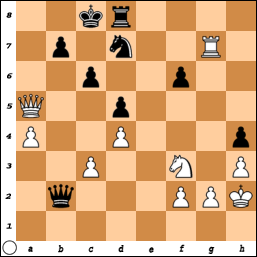 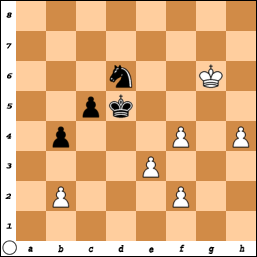 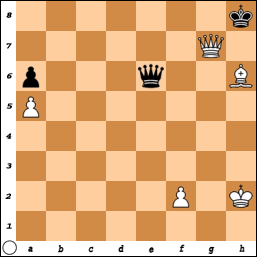 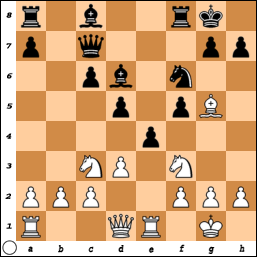 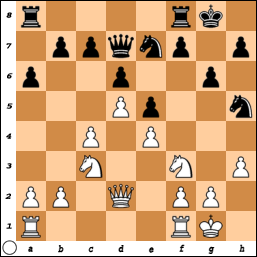 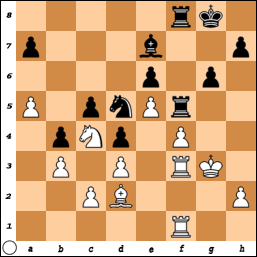 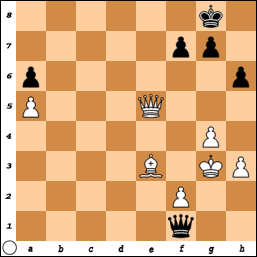 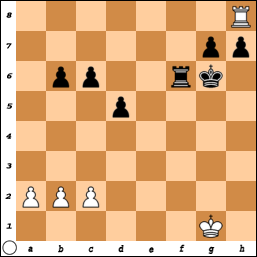 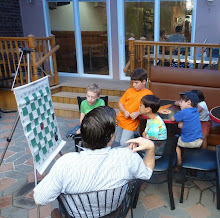 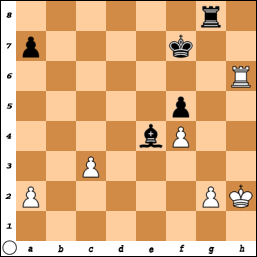 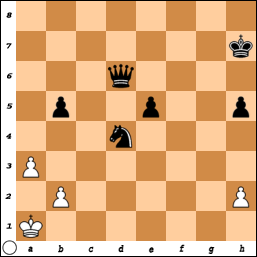 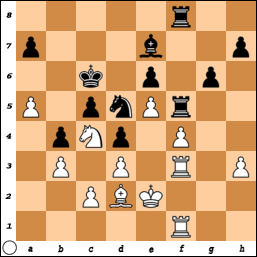 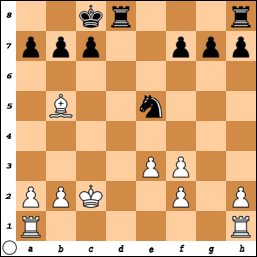 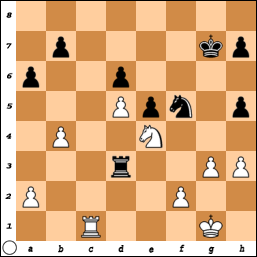 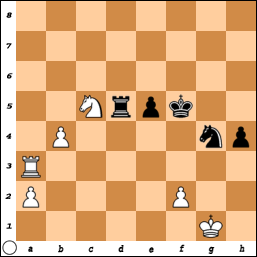 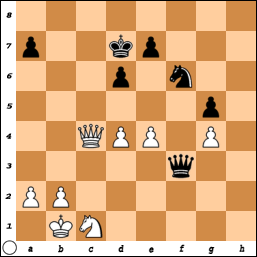 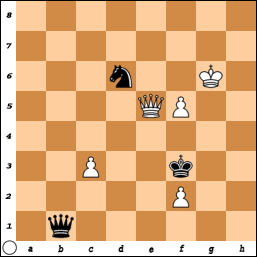 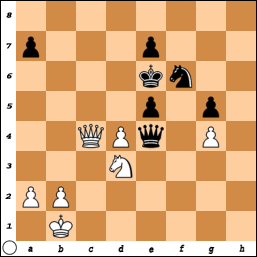 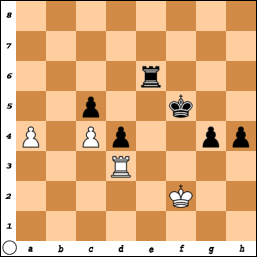 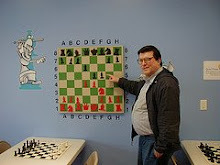 32.e5 Qe4+ 33.Nd3 dxe5 34.Qb5+ Ke6 35.Qc4+ Kd7 36.Qb5+ Ke6 37.Qc4+, draw. 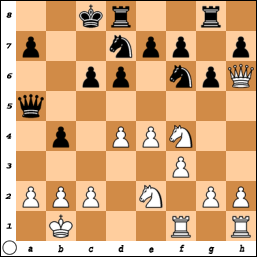 35.R3f2 Kg7 36.h3 Rh5 37.R2f3 Rhf5 38.R3f2 Kf7 39.Ra1 Rh5 40.Rf3 Rb8 41.Rff1 Rf5 42.Rf3 Ke8 43.Kf2 Kd7 44.Ke2 Rbf8 45.Raf1 Kc6 46.R1f2 Kd7 47.Rf1 Kc6 48.R1f2 Kd7 49.Rf1 Kc6, draw. 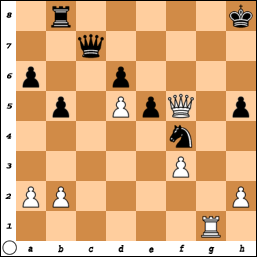 34.h5 c4 35.h6 c3 36.bxc3 b3 37.h7 b2 38.e4+ Kxe4 39.h8=Q b1=Q 40.Qe5+ Kf3+ 41.f5, draw. 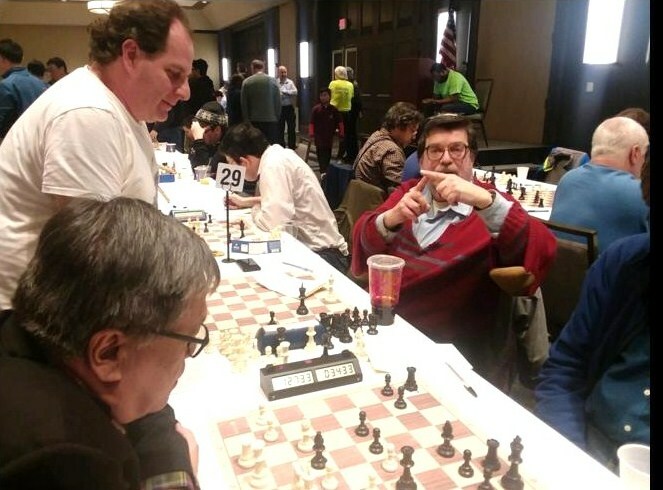 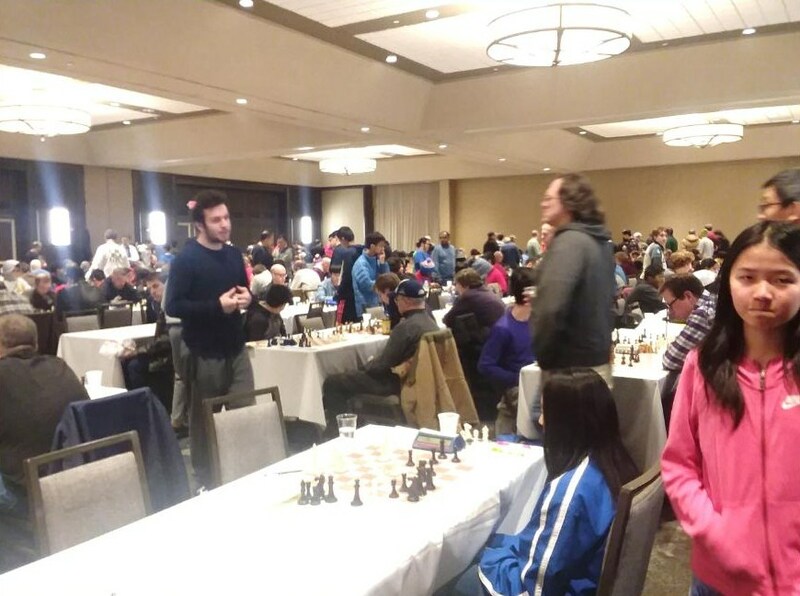 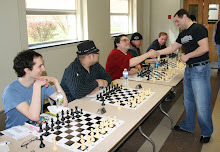 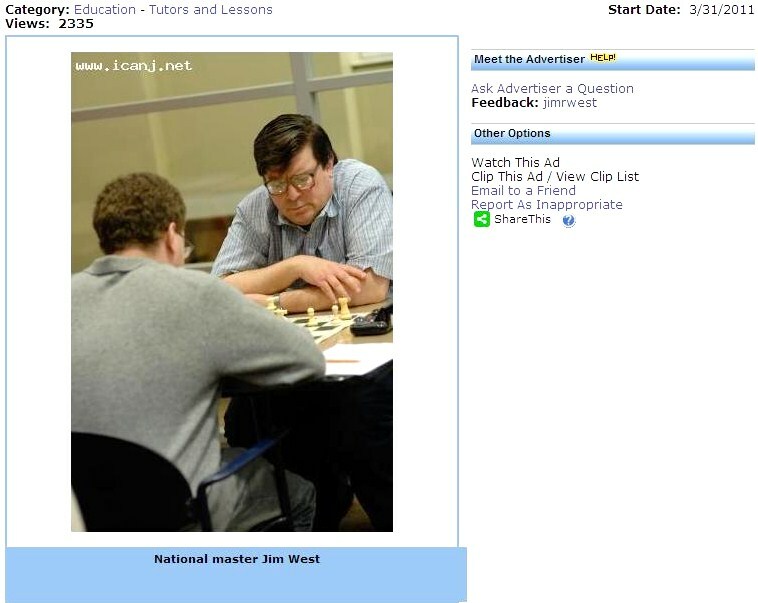 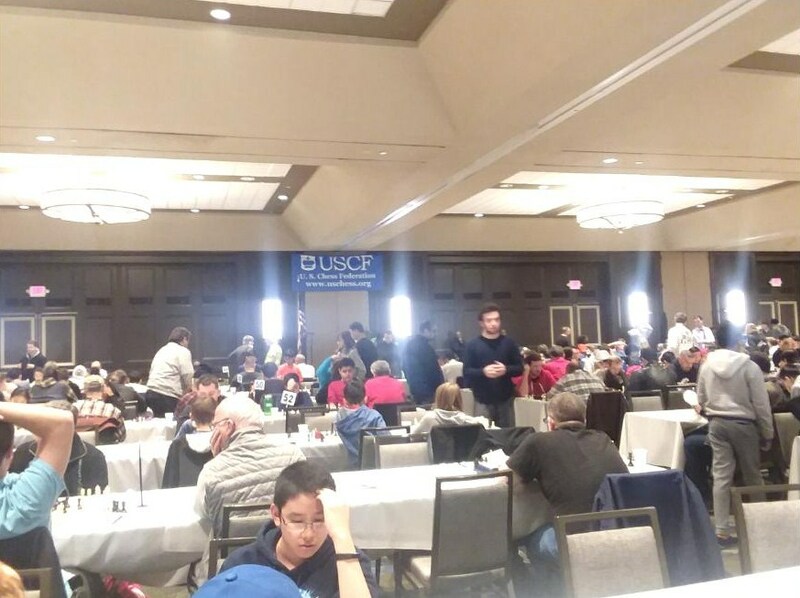 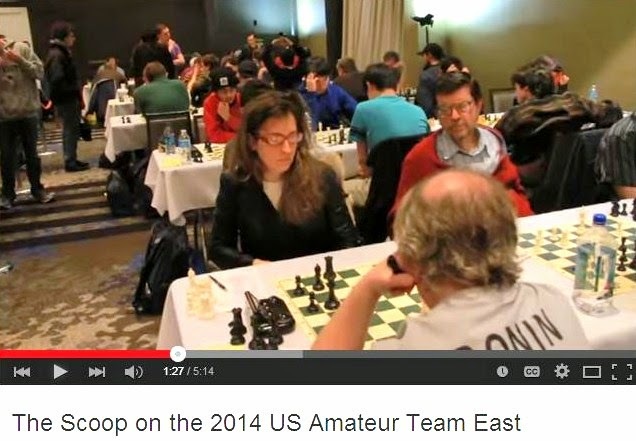 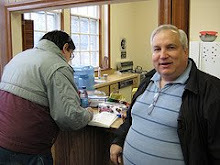 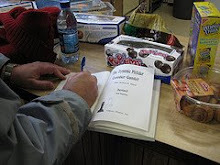 Enjoy more photos, taken by Eric Dluhos, from round six of the USATE tournament. 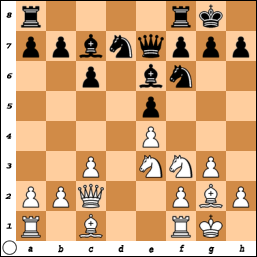 49.Rb3 Ra6 50.Rb5 Rxa4 51.Rxc5+ Kf4 52.Rc8 Ra2+ 53.Ke1 Ke3 54.Re8+ Kd3 55.c5 g3 56.Kf1 h3 57.c6 Ra1+ 58.Re1 g2+ 59.Kf2 Rxe1 60.Kxe1 g1=Q#. 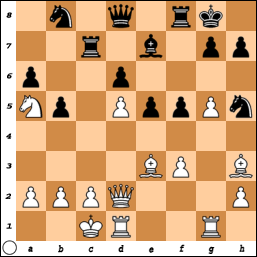 31.Rc7+ Kg6 32.g4 hxg4 33.hxg4 Nh6 34.Nxd6 Rxd5 35.Nxb7 Nxg4 36.Rc6+ Kg5 37.Nc5 h5 38.Rxa6 h4 39.Ra3 Kf4 40.Ne6+ Kf5 41.Nc5, draw. 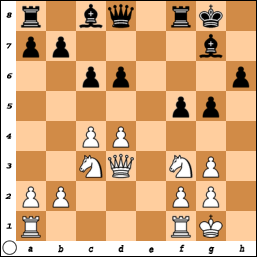 34.Rh7+ Rg7 35.Rxg7+ Kxg7 36.Kh3 a5 37.g4 fxg4+ 38.Kxg4 Kf6 39.f5 Bxf5+ 40.Kf4 Ke6 41.c4 Bb1 42.Ke3 Bxa2 43.Kd4 Kd6 44.c5+ Kc6 45.Kc3 Kxc5 46.Kb2 Bc4 47.Ka1 Kb4 48.Kb2 a4 49.Ka1 a3 50.Kb1 Bb3 51.Ka1 Kc3 52.Kb1 a2+ 53.Ka1, draw. 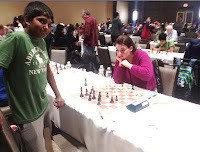 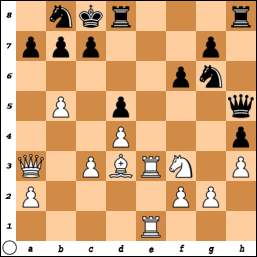 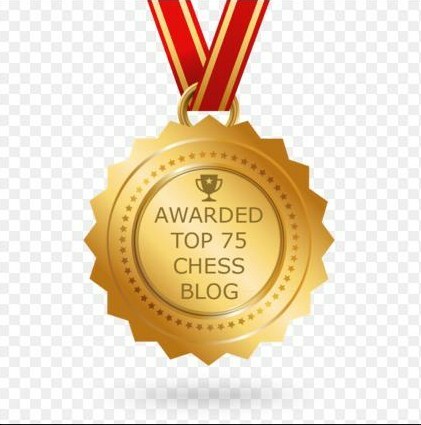 19.Bxg6 Qxg6 20.Re7 Rhe8 21.Qc5 Rxe7 22.Rxe7 c6 23.Qxa7 Qb1+ 24.Kh2 Qxb5 25.a4 Qb2 26.Rxg7 Nd7 27.Qa8+ Kc7 28.Qa5+ Kc8 29.Qa8+ Kc7 30.Qa5+ Kc8, draw.